Christine & Steve chose our Sting of Light invitation suite printed thermography in champagne & purple on our ultra thick & luxe white linen stock. 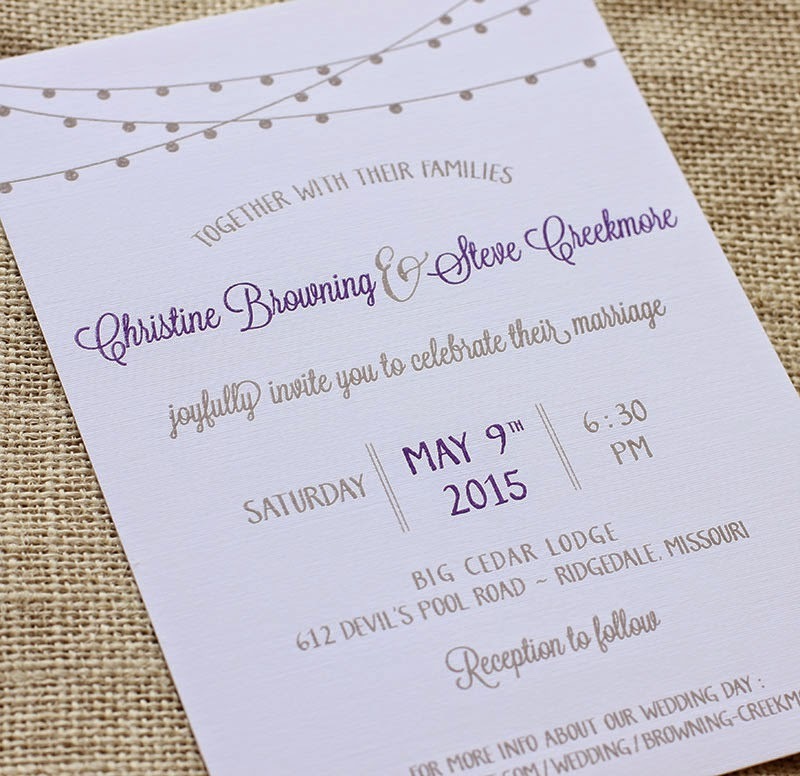 I love the rustic yet timeless feel of this design and adore this color combo. 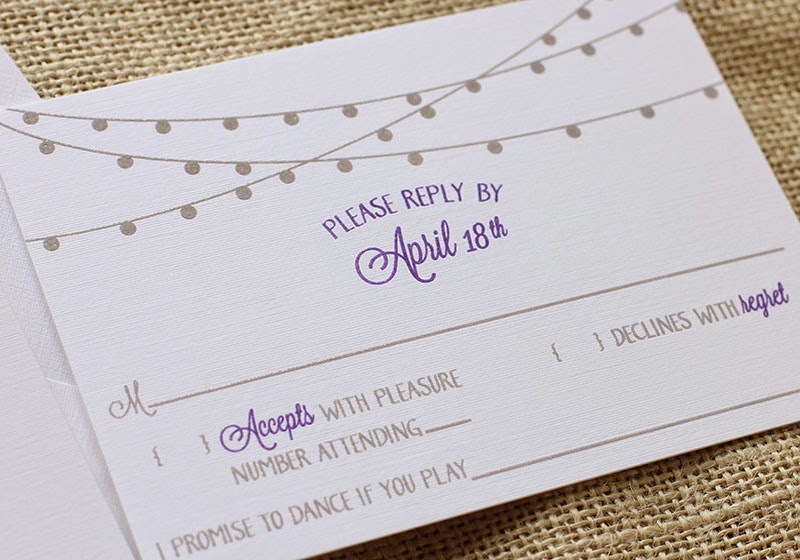 We also created this fantastic purple rehearsal dinner invite for Christine's mother in law. 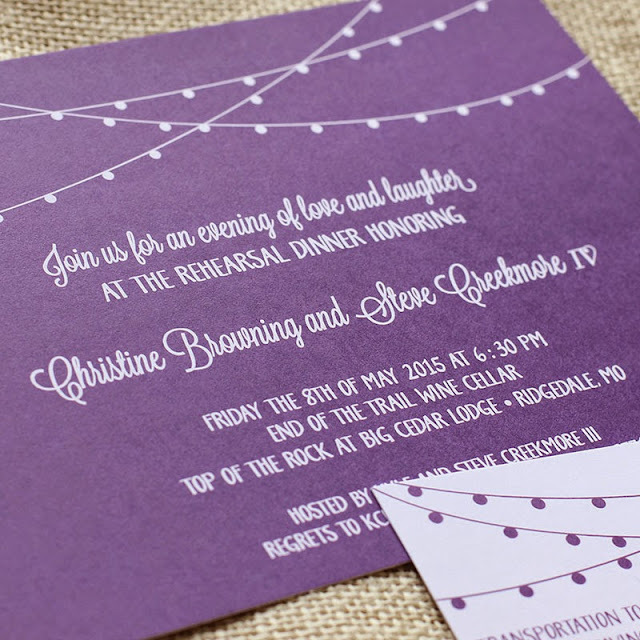 Isn't this purple with the strung lights just so perfect for a wine cellar dinner!